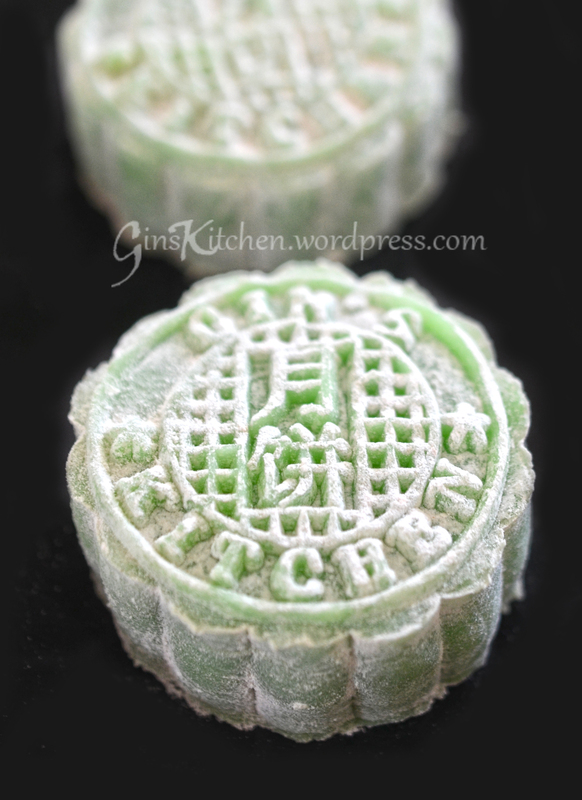 Last year around this time, I made the traditional mooncakes. If you never heard of the Mid-Autumn Festival (aka Moon Festival), a brief introduction is on that page. 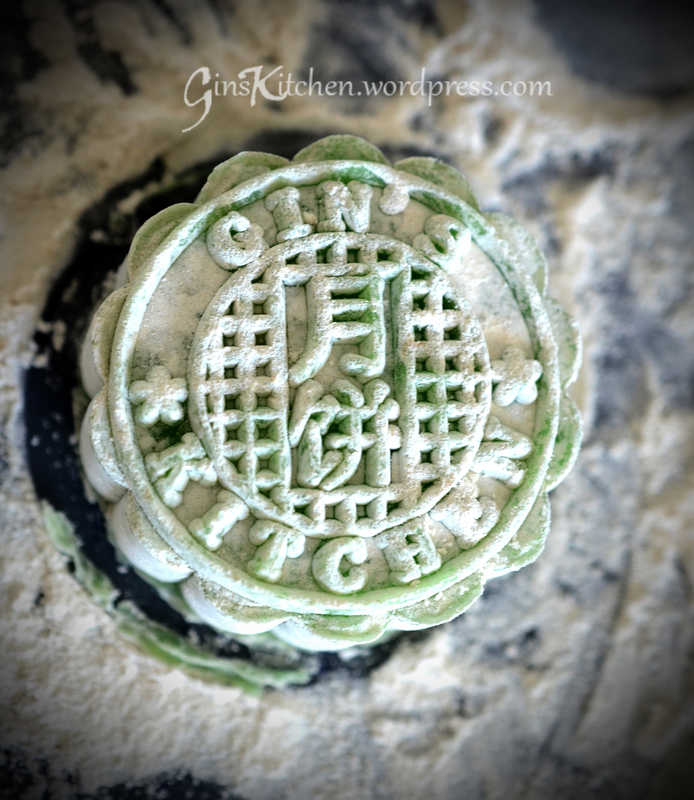 I spent a month in Hong Kong this summer and ordered a customized mooncake mold which engraved with my blog’s name “Gin’s Kitchen”. So I’m very excited to use it for the very first time today. As you can see from my posts, I am a big fan of Christine Ho. 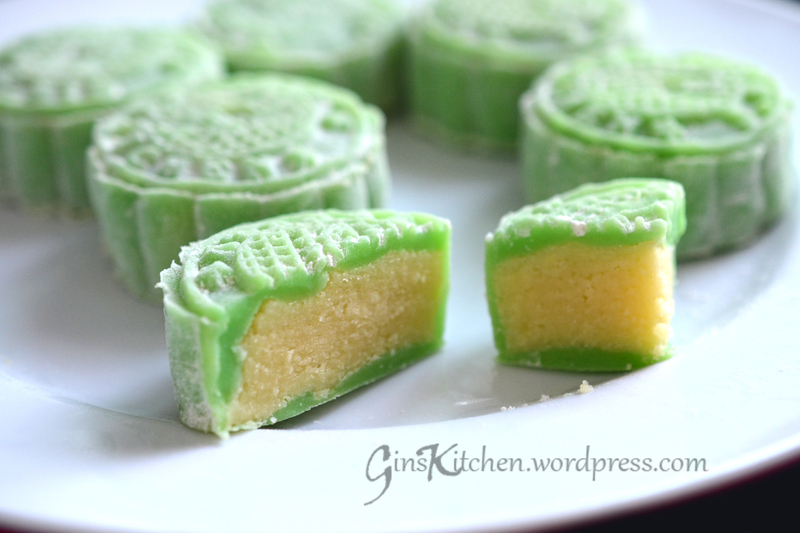 I like a lot of her recipes, including this Pandan Snow Skin Mooncake recipe. Happy Moon Festival!! Combine all types of flour and sugar in a mixing bowl. Set aside. 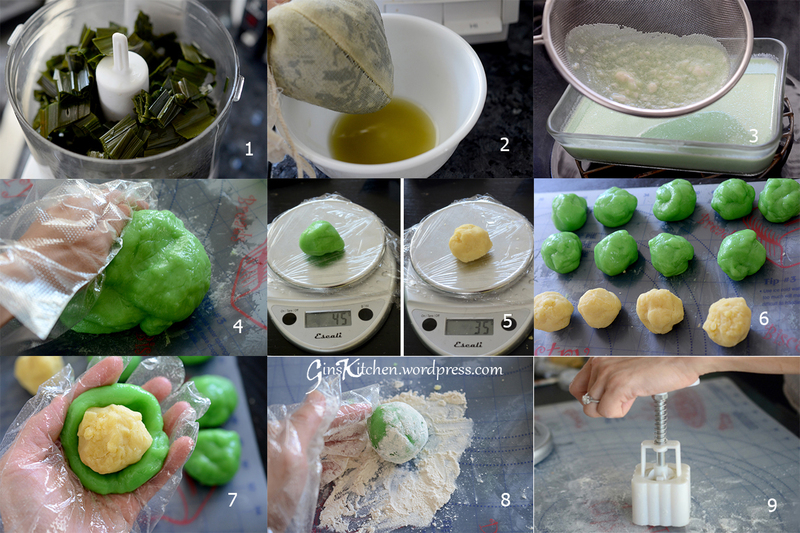 The flour help remove the mooncake from the mold easily. 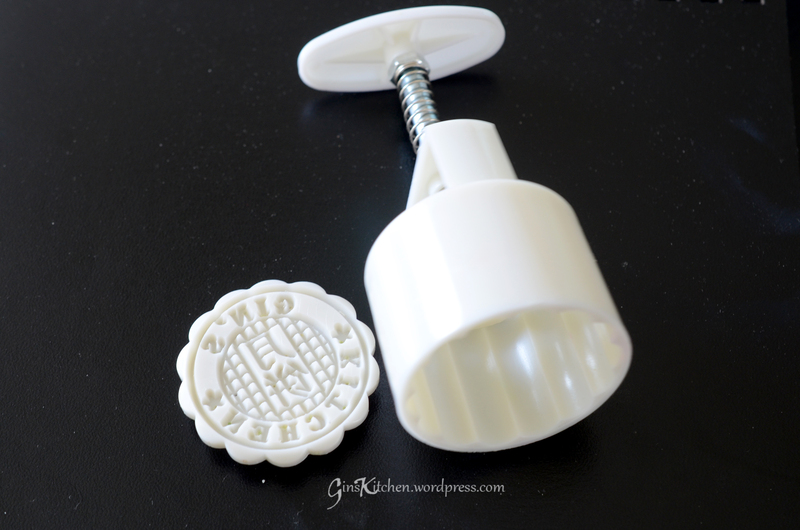 You don’t need to worry about the excess flour (see picture below) as you can use a clean brush to brush it off.